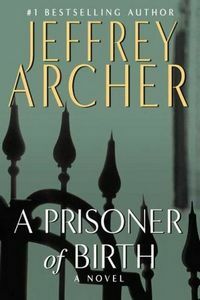 A Prisoner of Birth by Jeffrey Archer: Synopsis and Online Purchase Options. Synopsis (from the publisher): Danny Cartwright and Spencer Craig never should have met. One evening, Danny, an East End cockney who works as a garage mechanic, takes his fianceé up to the West End to celebrate their engagement. He crosses the path of Spencer Craig, a West End barrister posed to be the youngest Queen's Counsel of his generation. A few hours later Danny is arrested for murder and later is sentenced to twenty-two years in prison, thanks to irrefutable testimony from Spencer, the prosecution's main witness. Danny spends the next few years in a high-security prison while Spencer Craig's career as a lawyer goes straight up. All the while Danny plans to escape and wreak his revenge.